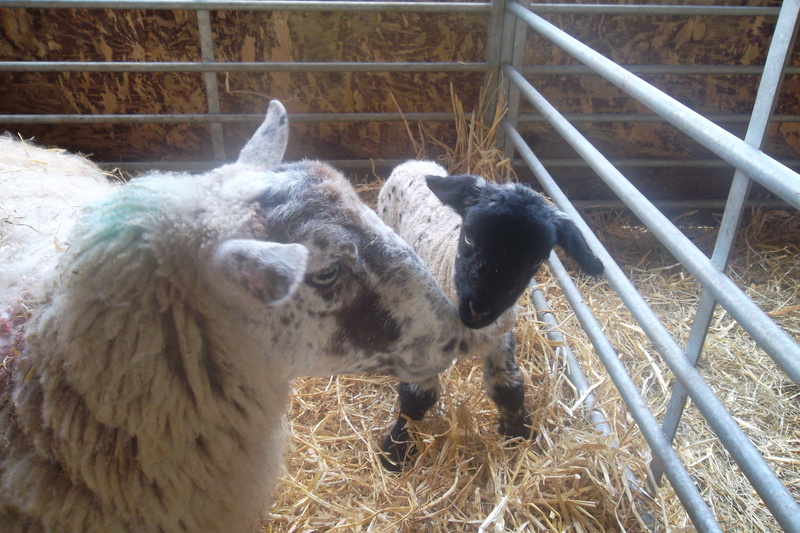 Lambs Born, this Bank Holiday weekend! 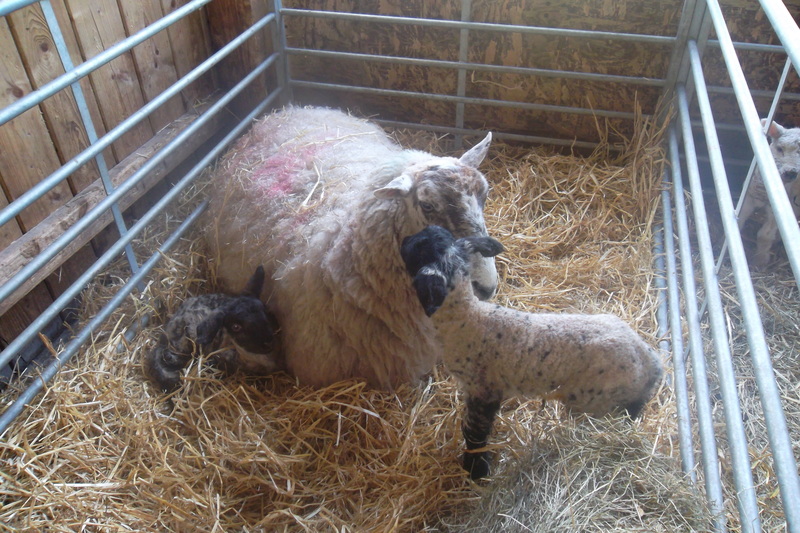 We have just received news of another lamb birth (ewe), with its twin on the way from Jill (volunteer on duty this weekend). 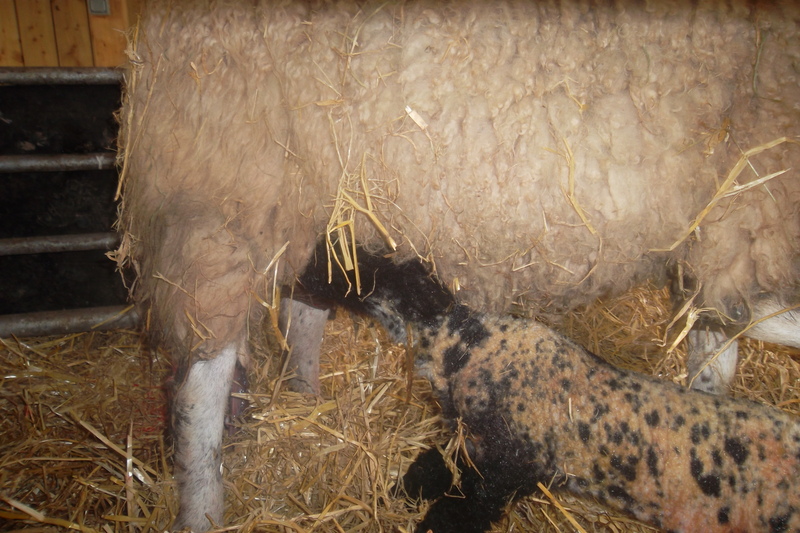 The second lamb was born a couple of hours after the first and had to be assisted into the world by Andrea (Farm Technician). 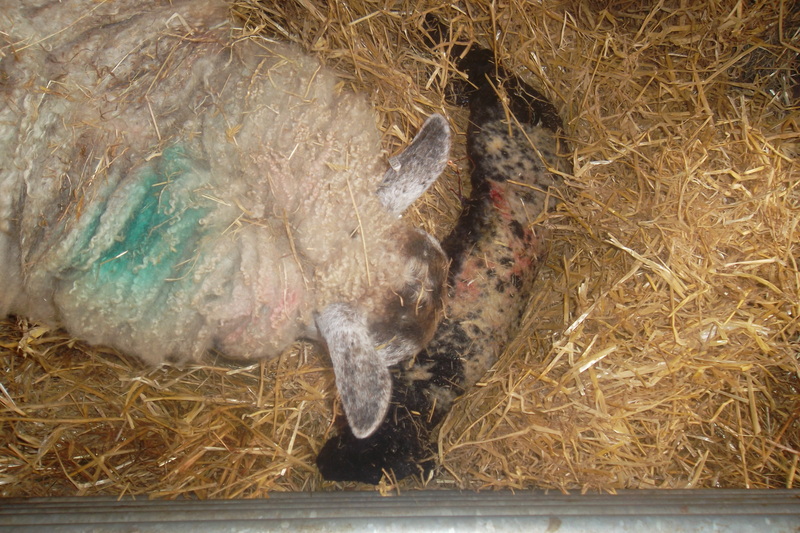 Although it is better if they can deliver their lambs by themselves, it is sometimes necessary for us to intervene and give the Ewe a helping hand. This was the case this afternoon. It is another beautiful Lamb (ram). 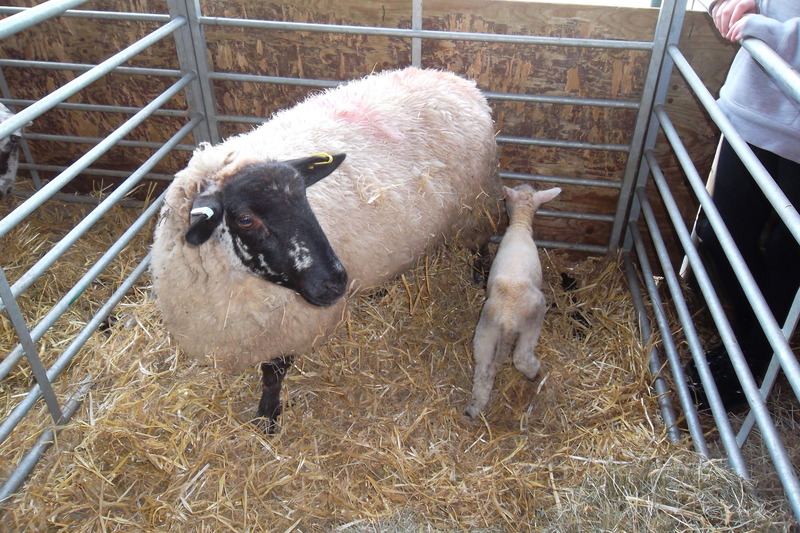 This is the last ewe to give birth. 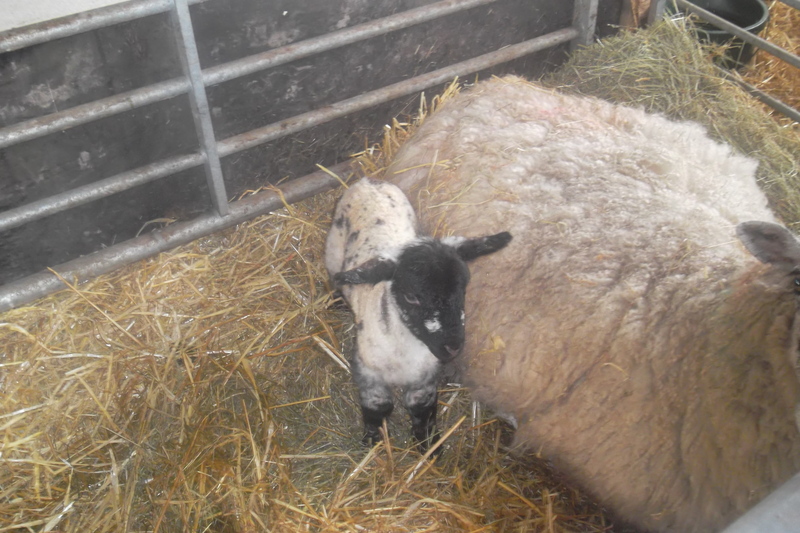 Our Ewes have done us proud again this year, we have 16 lambs in total. 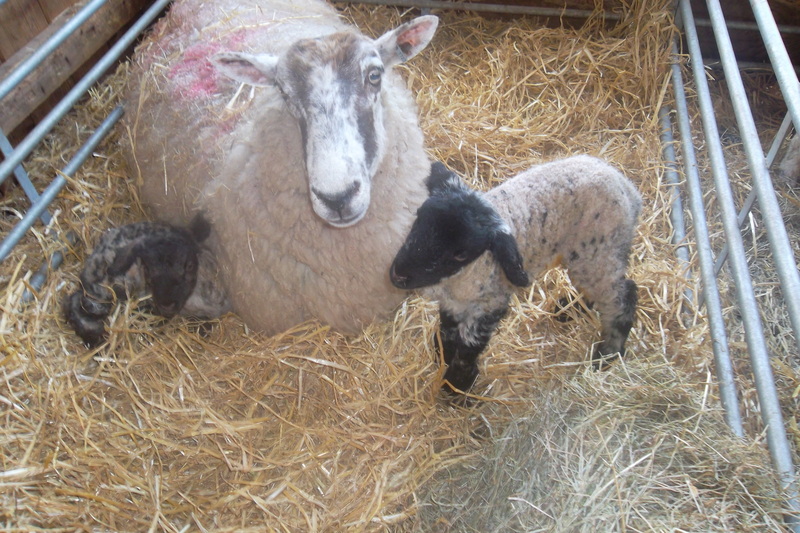 The photos below are the twin lambs born this morning. There are two more Ewes due to lamb this weekend. We anxiously await their arrival. As soon as we have any further details we will post it here. 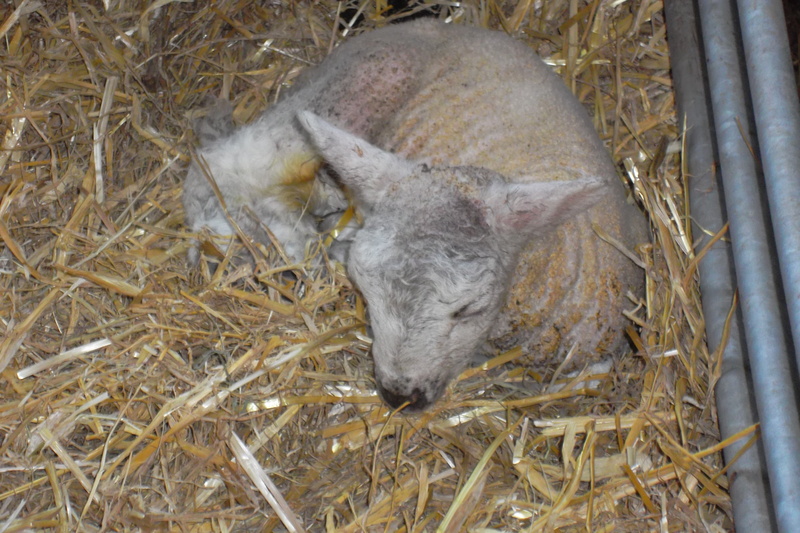 Please go to the lamb page – I have posted photos of the lambs born over the Easter break, “chilling” in the field in this afternoon’s warm sunshine and a photo of the Lleyn lambs born a few weeks earlier.